Are you ready for the City Nature Challenge? One of the biggest events where naturalists and others can put iNaturalist to work is the annual City Nature Challenge. 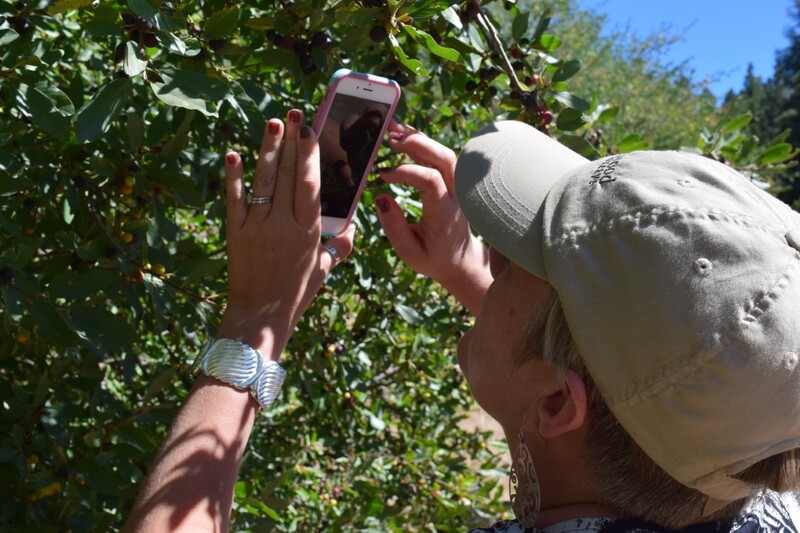 The City Nature Challenge — essentially a four-day global bioblitz — began in 2016 as a friendly nature-observation competition between the San Francisco Bay Area and Los Angeles County, organized around a simple charge: “which city can find the most nature?” Participants use the iNaturalist app to photograph, catalog, identify and organize observations of wildlife in their areas. The city with the highest number of observations wins. More than 150 cities will participate in this year’s Challenge on April 26-29. City boundaries are loosely defined in some cases. For example, the San Francisco team's region spans several counties, so even if you don't live right in the city, you may live within a defined boundary. Each city partners with local organizations to host iNaturalist trainings, bioblitzes, ID parties, hikes and more. Cities are competing against each other to see which city can make the most observations, find the most species, and engage the most people. At the end of the observation window on April 29, other events will be held to help participants identify and complete their observations in iNaturalist. We hope you will help your city win! If you live near Sacramento, please join the California Naturalist program team, the UC Davis School of Education's Center for Community and Citizen Science, and UC Davis Evolution and Ecology Department to put the Sacramento region in the competition for the first time. Stay updated and learn more information about how to join the fun on the Sacramento City Nature Challenge website as we add events. You can also participate simply by going outside and making observations on your own during the time frame. For those outside of the Sacramento region, find a complete map of participating cities here. All you have to do is log in to your iNaturalist account and join the project. Any uploaded observations taken April 26-29 from within the project boundaries are automatically contributed to the challenge. Last year, the City Nature Challenge, was the single-busiest period for iNaturalist observations in 2018 with 17,000 participants and 441,000 observations of 8,600 species. Let’s all help the City Nature Challenge grow even bigger this year and help get people engaged with urban natural spaces, spend time learning with fellow nature enthusiasts and community organizations, and contribute to science. 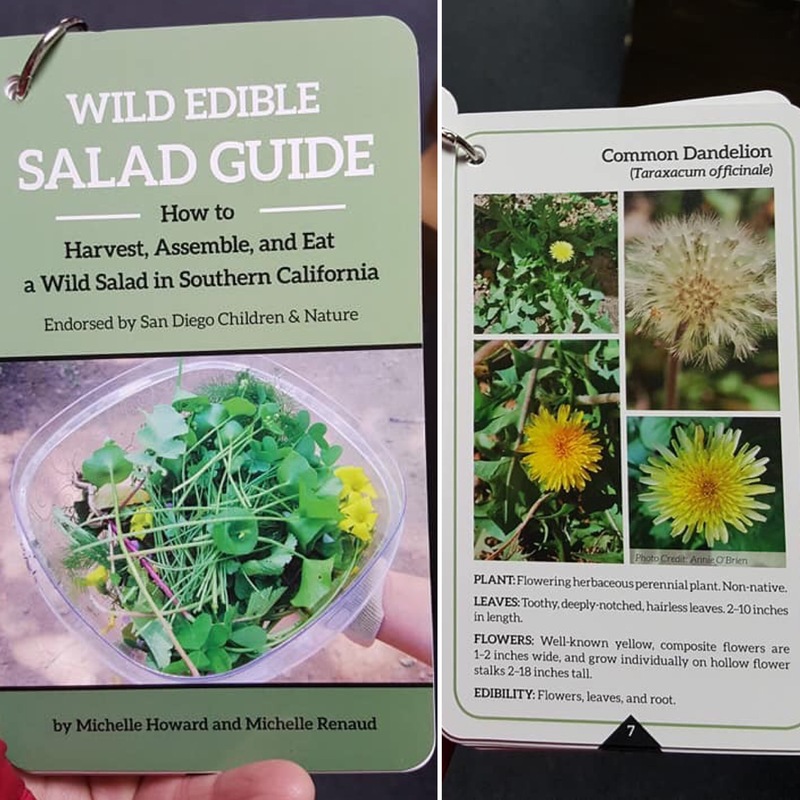 Wild Edible Salad Guide by California Naturalists Michelle Howard and Michelle Renaud. A big congratulations to California Naturalists Michelle Howard and Michelle Renaud (Santa Barbara Botanic Garden 2015) for publishing their California Naturalist capstone project with Sunbelt Publications! They created a beautiful book with removable cards, to make a Wild Edible Salad from both native and non-native plants that spring up in California this time of year. Grab your copy here. This friendly resource will help you identify edible plants such as Common Mallow, Sweet Fennel, and Miner’s Lettuce, and also help you avoid dangerous look-alikes such as poisonous Castor Bean and Common Poison Hemlock. It includes important information about foraging legally and ethically and nine out of the eleven plants featured are non-native species. 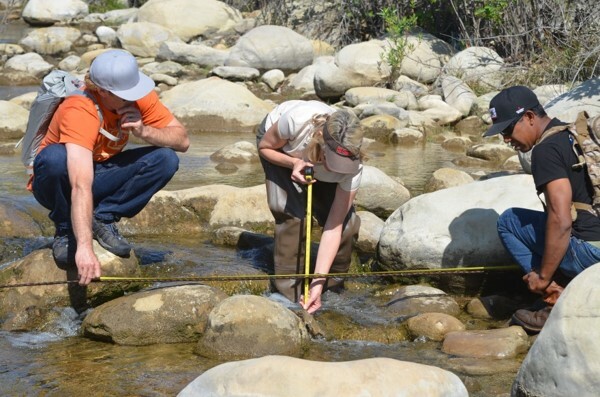 We're so impressed with ALL the capstone projects California Naturalists accomplish, published or not, as we see your efforts multiply across the state. To share YOUR California Naturalist story, please fill out this short survey. We are delighted to introduce to Sarah-Mae Nelson, our newest California Naturalist team member! Sarah-Mae recently joined CalNat as the Academic Coordinator focusing on our new Climate Stewards Initiative. 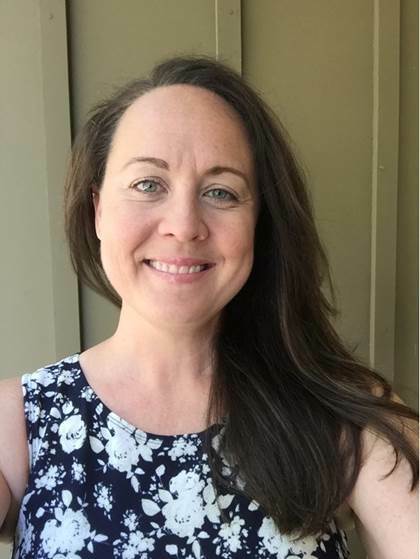 As an educator, science communicator, and climate change interpreter, she will lead the California Naturalist program’s efforts to incorporate climate science and climate change communication techniques into existing courses while developing a full climate stewards course which will be gradually rolled out to existing partners. Prior to joining the California Naturalist program, Sarah-Mae completed her M.S. in Climate Science and Policy from Scripps Institution of Oceanography, UC San Diego. She earned her B.S. in Marine Biology from UC Santa Cruz. Her master’s capstone project was the development of an interdisciplinary undergraduate Climate Change Studies minor for the university, which was recently adopted. From 2002-2017, she worked for the Monterey Bay Aquarium, most recently as Conservation Interpreter and Online Community Manager for ClimateInterpreter.org. Sarah-Mae is an active member of the National Network for Ocean and Climate Change Interpretation (NNOCCI). In 2015, she was recognized as a White House Champion of Change in Climate Education and Literacy for helping to increase science-based understanding and awareness on climate change. Sarah-Mae's office is at Elkus Ranch Environmental Education Center in San Mateo County. Want to stay abreast of Climate Stewards-related activities, find out how your organization can participate, or have additional ideas for program research and development? Please share your ideas and contact information here. Copyright © 2019 UC California Naturalist Program, All rights reserved.